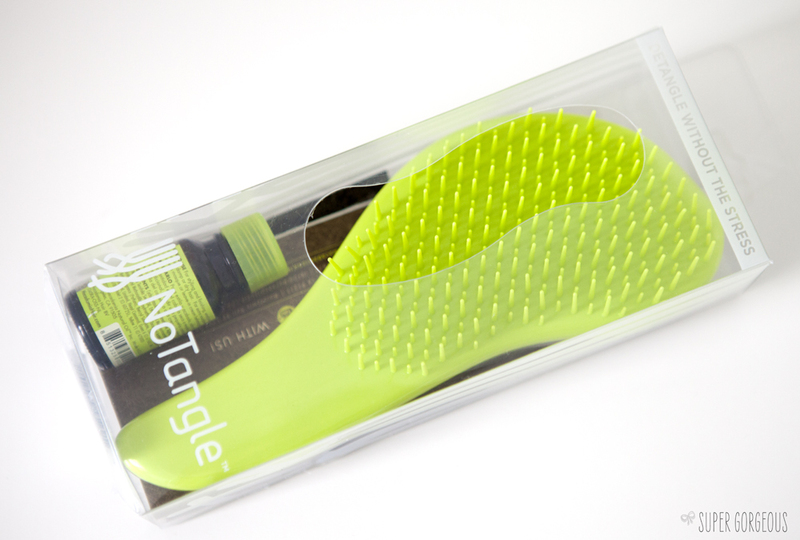 Move over Tangle Teezer - you have a competitor on the block! New from Macadamia Oil is the NoTangle brush - a brush designed to glide through hair, getting rid of knots without causing damage and preventing breakage and split ends. The NoTangle brush is very lightweight and I like that it has a handle on it. 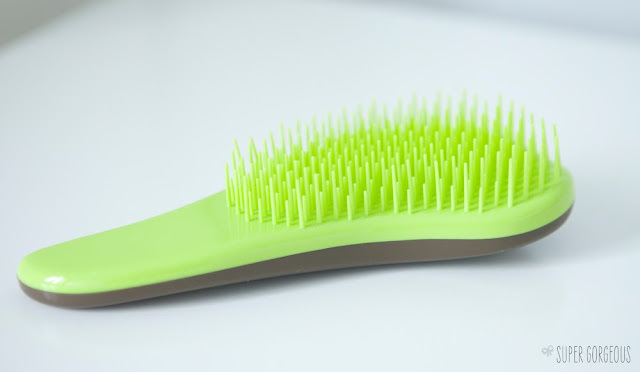 My brush-o-phobe daughter is rather fond of it too, and it's easy for her to brush her own hair with her, plus, with the NoTangle there are also NoTears (phew!). The package comes with a sample of Macadamia Healing Oil and a sachet of the Deep Repair Masque - a fab way to try out their products, which I have always been intrigued about. 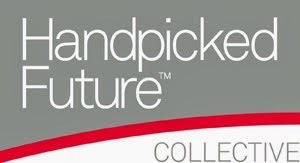 For £9.99 I think it's a really good deal. 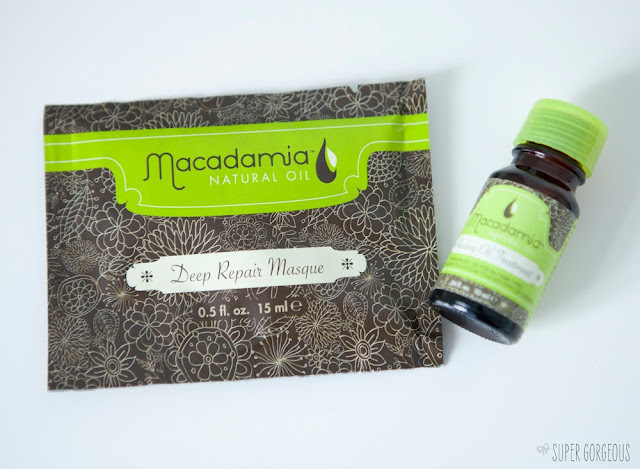 You can find the Macadamia NoTangle Brush at Beauty Expert, who also have a deal on at the moment on Macadamia products - if you spend over £15 on the brand you get a free 50ml Macadamia Oil Shampoo. 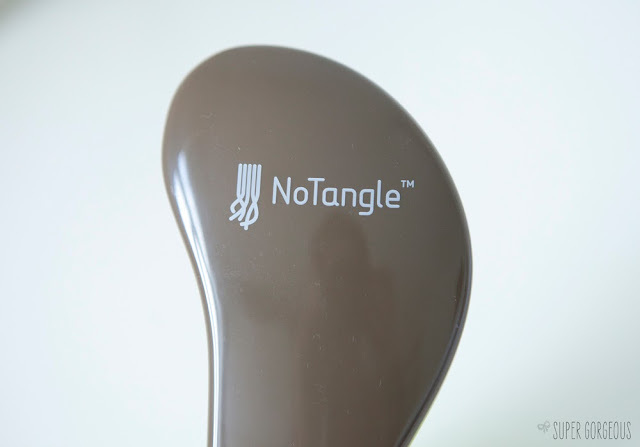 I love the tangle teezer but recently I have just found it's not cutting it. I love that this has a handle. I find the bristles are just too short on the tangl teezer maybe this would be better!